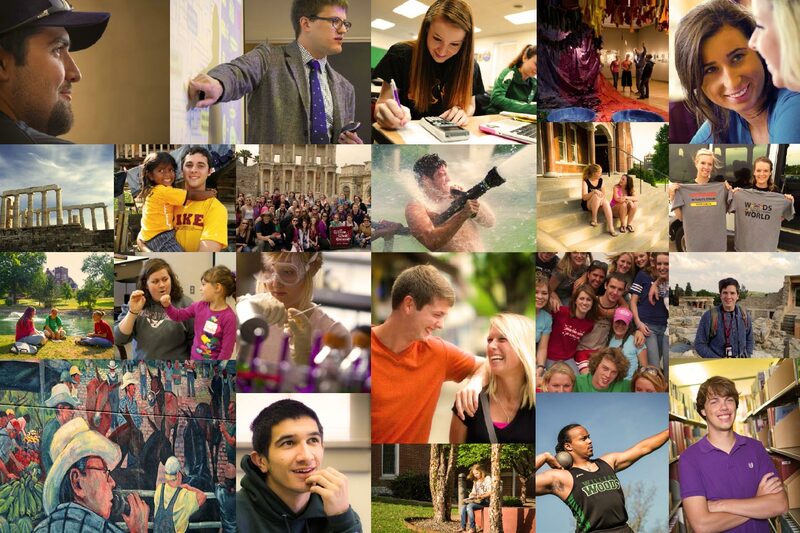 You will find that a common thread runs through the experience of every William Woods student — undergraduate or graduate, on campus, on location or online. The genuine and heartfelt commitment of a caring academic community is at the heart of everything we do. William Woods will amaze you, challenge you, coach you, stretch you, and walk alongside you as you reach for your goals … and flourish. How that happens depends on who you are. An athlete will find inspiration from the achievements of our 1936 Olympic medalist and other past Owls, immortalized in our Athletics Hall of Fame. Globetrotters will want to look into our Woods Around the World travel-study program. A passion for horses and education could lead an online graduate student to find fulfillment teaching others to train champions. A service-minded student can study American Sign Language or work as a teaching intern for the Lakota Nation. And every student on campus will enjoy the companionship and service activities of the Greek community at William Woods. You will be amazed at the breadth of opportunity that awaits you on our leafy, pastoral campus in Fulton, Missouri. You will learn and work with your peers at one of our convenient learning locations, taught by faculty fresh from their own achievements in your chosen field. Expect our online learning experience to exceed your expectations. I came on a whim. I stayed because I absolutely fell in love with William Woods. We had to get up in front of the instructors and sell them on our business plan. That was one of the things that the cohort really helped me with.